On the eastern border of the Flying Minnow Asterism resides the Tadpoles Nebula (IC 410). well-known Flaming Star Nebula located just on the other side of the Flying Minnow Asterism. The Nebula is named, from two tadpole-shaped spots each around 10 light years in length. 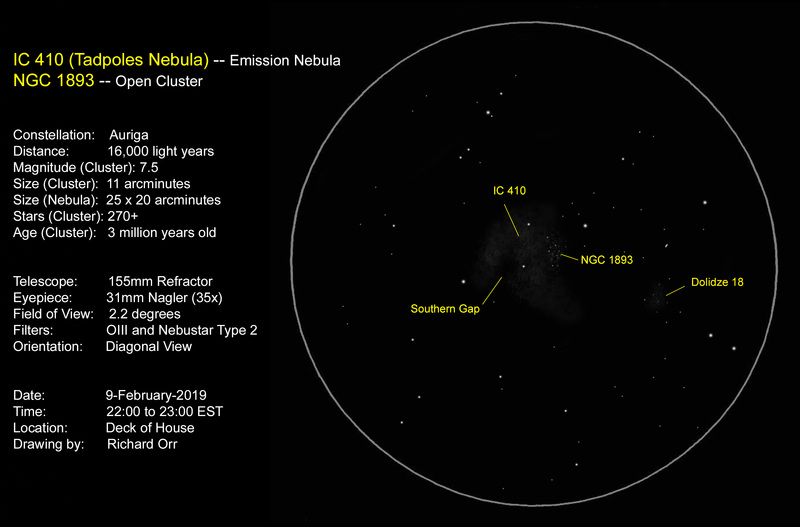 one of the youngest clusters visible to amateur astronomers. it had I not known of its existence.